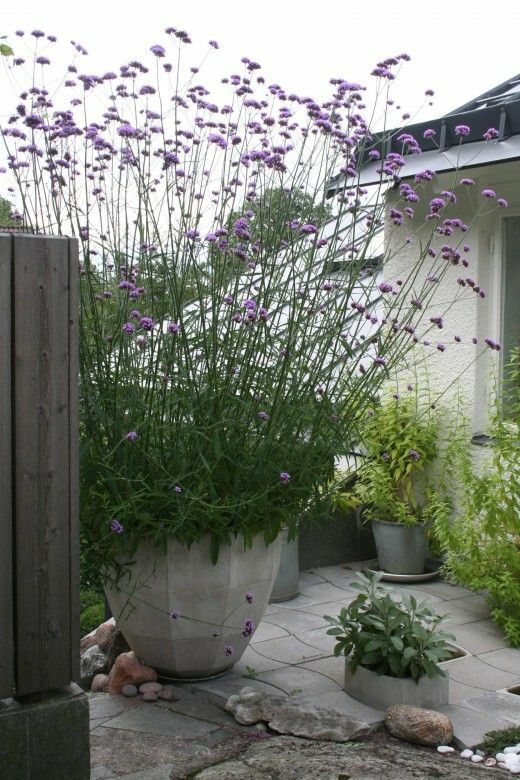 Maybe you’ve already bumped into these photos on Pinterest or tumblr, which surfaced in May 2013, of some startlingly robust Verbena bonariensis bursting skyward from an enviable geodesic concrete container. 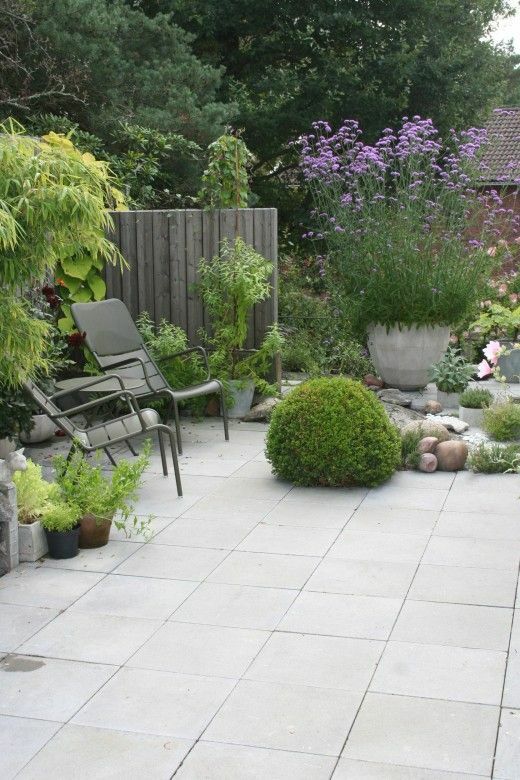 The image is from the garden and blog of Svante Öquist, Svante’s World, and brings up a couple of good points. One would be that drought and water scarcity don’t mean you have to aim low for containers in summer. Choose something sturdy like this verbena, give it the cushy container life for summer, and stand back. Another point is not to be afraid of the ordinary. This verbena is so widely prescribed and grown as a slim, tough, butterfly-attracting, “see-through” plant for summer that it would never cause a collector’s heart to palpitate, and yet by simply taking it out of the ground and elevating it in a container an extraordinarily dramatic result is produced. Something else these images show is how just a single container alone can signify the flowering fecundity of summer, especially if it’s a show-stopper like this. Apart from the verbena, there’s little else in bloom. Summer doesn’t have to mean wall-to-wall flowers, an expectation that generally relies on steady amounts of water, at least here in summer-dry Southern California. Mr. Öquist starts his plants from seed every year, so he gets this astonishing performance in one season. Here in Southern California it is a short-lived perennial and self-sows lightly. I had noticed a few seedlings near the mother plant in the back garden, which I intended to remove and compost, but after seeing these photos I dashed out in the rain to rescue them, potting them up for a trial in containers this summer. This entry was posted in Plant Portraits, pots and containers and tagged Elle Decoration, Verbena bonariensis. Bookmark the permalink. Have never read any remarks about its fragrance, but it’s actually rather sweet. Love to cram it into bud vases to enjoy inside, but the tiny purple flowers start dropping onto the tabletop almost immediately. It’s a real trooper here in San Francisco, reseeding not only in garden soil, but in potted plants and between walkway bricks. Though I still love it, this plant is about one pulled seedling away from being a weed here.